"Live From The Metropolitan" is an intriguing calling card, a fitting first impression for those previously unfamiliar with the quintet Claude Bennington's Fever Dream. One of Rochester's most exciting emergent acts, the group creates a charming hybrid of hip-hop and jazz that's never forced and always smooth. Essentially it's a piano trio fronted by two emcees, Gary Lamaar and Moses Rockwell. Lamaar's calm and collected baritone is an excellent counterpoint to Rockwell's slightly edgier delivery and more combative tone. Both rappers project effortless cool, and their verbal interplay is all the more compelling on a live album that consistently demonstrates the greatest asset of Claude Bennington's Fever Dream: chemistry. Drummer Matthew Bent, bassist Ryder Eaton, and keyboard player Phil Lewalle provide an energetic yet cerebral accompaniment that mirrors Lamaar and Rockwell's irrepressible flow. Equipped with a moody groove akin to that of The Bad Plus, standout tracks include "Pants/Intro" (complete with a provocative anti-police, anti-Trump ending) and "Stars Out/(un)do." The album's music shifts seamlessly between meandering and incisive, complementing the clever, dizzying wordplay. Throughout, seriousness of intent and impressive musical chops make for a supremely enjoyable listen that will reward fans of A Tribe Called Quest and Mos Def. 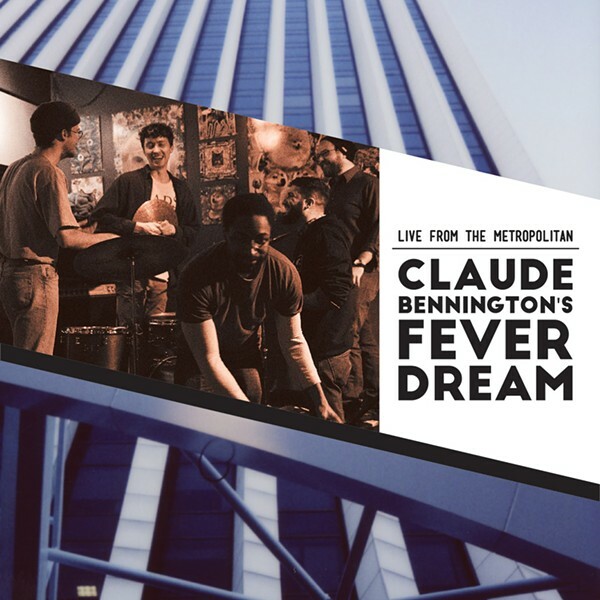 Claude Bennington's Fever Dream will play an album release show Thursday, March 22, 5 p.m., at Record Archive. Bushido Garvey will also perform. The album, along with a video of the Metropolitan concert, will be available Thursday at cbfd.bandcamp.com.